SCVHistory.com SC1806 | City of Santa Clarita | Groundbreaking: SCV Sheriff's Station, Golden Valley Road, 7-25-2018. [City of Santa Clarita, July 25, 2018] — On the morning of Wednesday, July 25, 2018, Santa Clarita Mayor Laurene Weste, Mayor Pro Tem Marsha McLean, Council members Bob Kellar, Bill Miranda and Cameron Smyth from the City of Santa Clarita; Supervisor Kathryn Barger, Fifth District, County of Los Angeles; Sheriff Jim McDonnell from the Los Angeles County Sheriff's Department and Captain Robert Lewis from the Santa Clarita Valley Sheriff's Station hosted an official groundbreaking for the Santa Clarita Valley Sheriff's Station. The event took place at the construction site located along Golden Valley Road, between Centre Pointe Parkway and Robert C. Lee Parkway. The new 46,000-square-foot, state-of-the-art, Sheriff Station will feature a detached 4,000-square-foot vehicle maintenance facility to repair vehicles on-site, a heliport, 9-1-1 dispatch center, a jail and enough space to house the entire Sheriff's team. "Our highest priority is your safety. 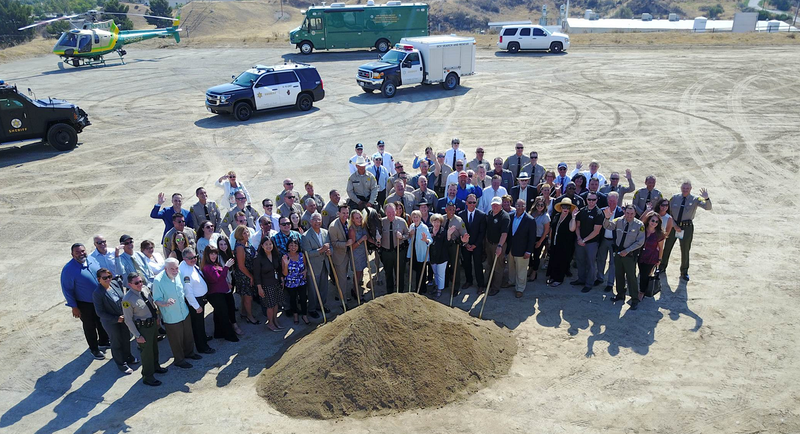 We are building a state-of-the-art facility and providing our deputies with the tools necessary to keep Santa Clarita one of the safest cities in the Nation," said Mayor Laurene Weste. 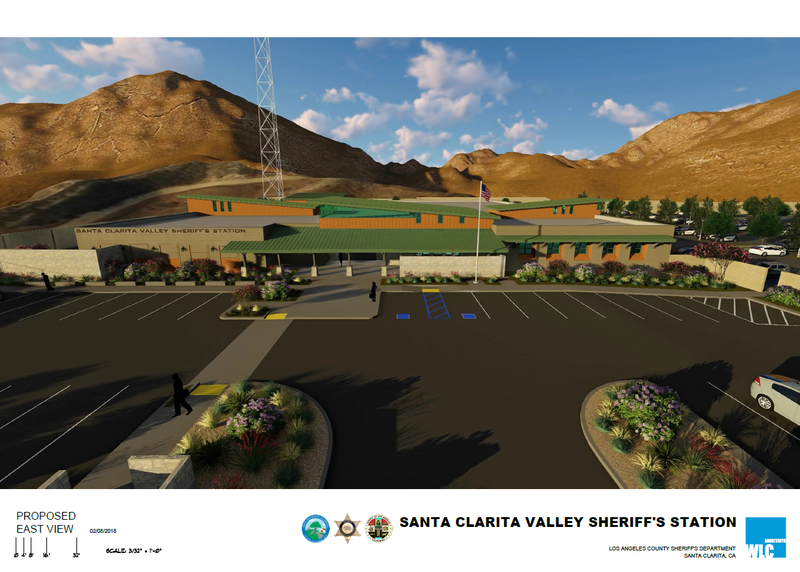 The City of Santa Clarita and the County of Los Angeles are working together to finance and construct the new and larger Santa Clarita Valley Sheriff's Station, to replace the existing 25,100 square-foot station located at 23740 Magic Mountain Parkway. The existing station opened in 1972, and at the time, the population of the Santa Clarita Valley was at 50,000. "As of July of this year, the estimated station service area population is at 293,000 residents and rapidly growing to 300,000, which would be six times the population for what it was originally built for," said Sheriff Jim McDonnell. "As someone who's worked for Los Angeles County for three decades, this is a day that I know we've all been waiting for," said Supervisor Kathryn Barger. "This station is going to be a wonderful way for us to show those who want to go into law enforcement why L.A. County Sheriffs are the best and premium to go into." Representatives from the Aero Bureau, Special Enforcement Team, K-9, Arson Explosives, Mounted Enforcement Unit, SCV Command Post and Search and Rescue were on hand to celebrate today's milestone. In addition, representatives from the offices of Congressman Steve Knight, State Senator Scott Wilk, State Assemblyman Dante Acosta and State Assemblyman Tom Lackey presented certificates honoring the groundbreaking event. The event culminated with a golden shovel ceremony to unearth the first soil from the development site. 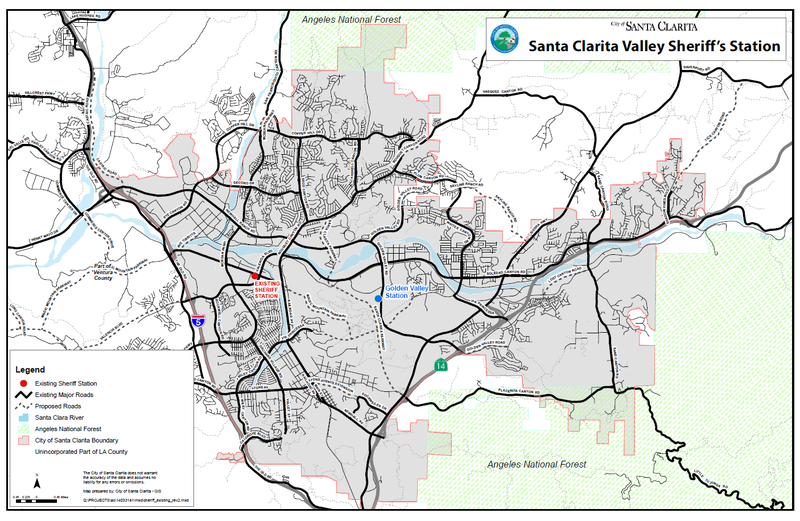 The new Santa Clarita Valley Sheriff's Station is expected to be completed by 2020 and is part of the City's Santa Clarita 2020 Community Strategic Plan. For more information, please visit SantaClarita2020.com. SC1806: Download original images here.